Inclusion Regina | Congratulations Jay! You are here: Home / News / Congratulations Jay! 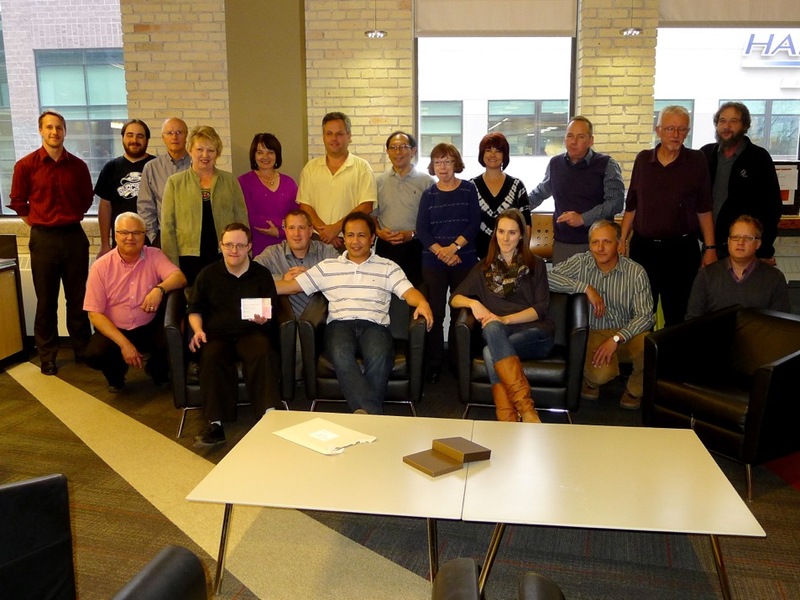 On Wednesday October 22, 2014 about 25 members of staff and Jay‘s parents, Greg and Penny, gathered to recognize Jay’s 5 years of service with Stantec. 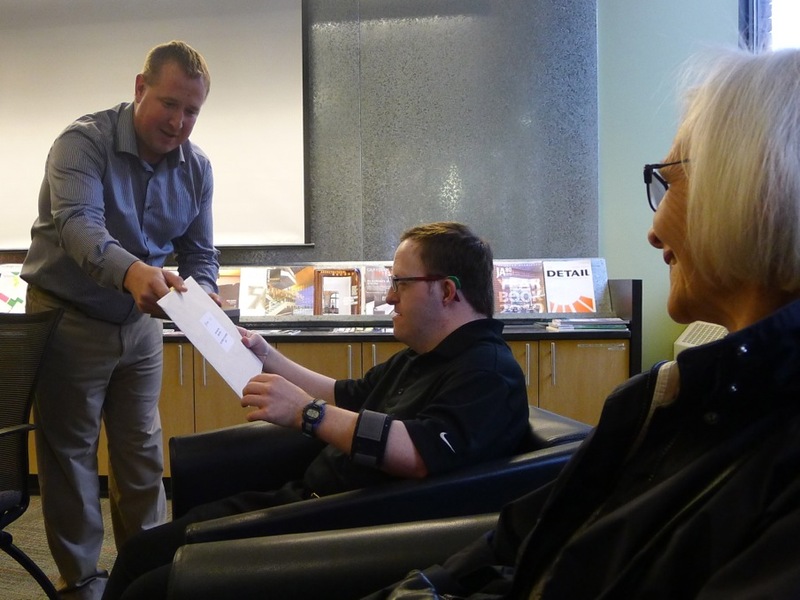 Thank you Stantec for supporting inclusion in your workplace. Jay receiving his award for 5 years of dedicated service. Presented by Jeff Jurzniec. Jay’s Mom, Penny, watching.